Restaurant Week is a great opportunity to experience the best restaurants like Del Mar, Fiola, and Passionfish in Washington, D.C., for under $35 per person. This year's event will offer prix-fixe lunch or brunch menus for $22, and 3-course dinners for $35. Cuisines include Contemporary American, Mexican, French, Mediterranean, Italian, Southern, Seafood, Spanish, California, Pan-Asian and more. This year, the summer event takes place from August 13 through 19, 2018. Restaurant Week is committed to promoting a new initiative designed to raise awareness about hunger and food accessibility in the capital region. Participating restaurants will team up with the Capital Area Food Bank to raise funds for the food bank’s nearly 500 food assistance partner agencies. Many restaurants will donate a portion of the proceeds earned during Restaurant Week to the food bank to provide meals for someone in need in the greater Washington D.C. area. You may want to plan out visits to several Washington D.C. restaurants during the week. Being organized will help. Make your reservations as early as possible, as many of the most popular restaurants like Convivial, Iron Gate, and Kith and Kin become fully booked before the beginning of the event. 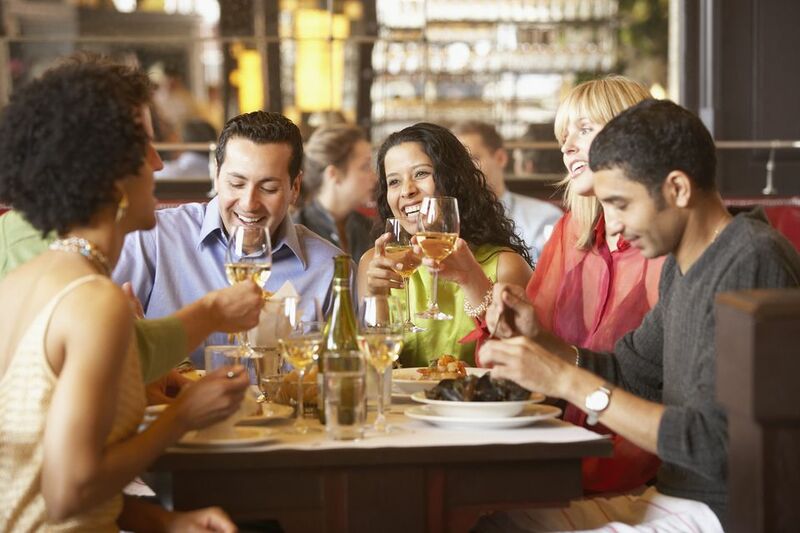 Reserve your table on the Restaurant Association of Metropolitan Washington website and sign up for their rewards program for the opportunity to win a prize. Read the posted special menus and online reviews before booking. Restaurant Week is usually your best bet for getting a good deal at the priciest restaurants, however, some restaurants offer prix-fixed menus most times of the year, so the specials offered during this week may not equal big savings. For diners that prefer a drink with lunch, book a table at The Riggsby where you can opt to substitute a martini or Manhattan for one of your courses. Note that not all restaurants participating in Metropolitan Washington Restaurant Week offer the promotional menu at all meal times. When you make your reservation, confirm with the restaurant that they are participating in Restaurant Week for your chosen meal (be it lunch, brunch, or dinner) as some opt-in only for dinner. For example, Rasika West End opted only for lunch, while the upscale 1789 Restuarant participated at dinner, and required proper attire from its guests. If the Restaurant Week menu doesn't appeal to you, most, if not all restaurants offer their full menu at their normal prices for guests who want to more options or additional entrees, appetizers, or desserts. Restaurant Week also provides the perfect opportunity to visit many of the Restaurant Association Metropolitan Washington RAMMY Awards Finalists who are recognized for their excellence in service and dining. The list of participating restaurants changes with each biannual event and a full list is posted by the Metropolitan Washington Restaurant Week beginning approximately one to two months in advance of the event.